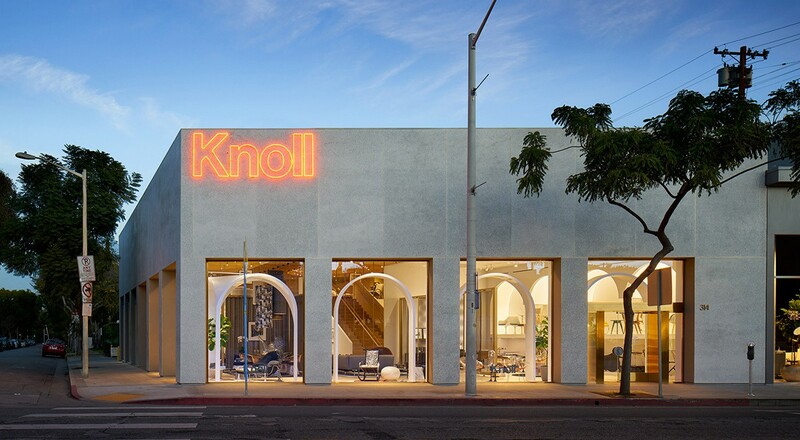 At Knoll’s second flagship home design shop and it’s first on the west coast, Johnston Marklee designed a luxe direct-to-consumer retail experience. The shop is organized around a rich material palette reminiscent of Northern Italian architecture of the 1950s and 60s. 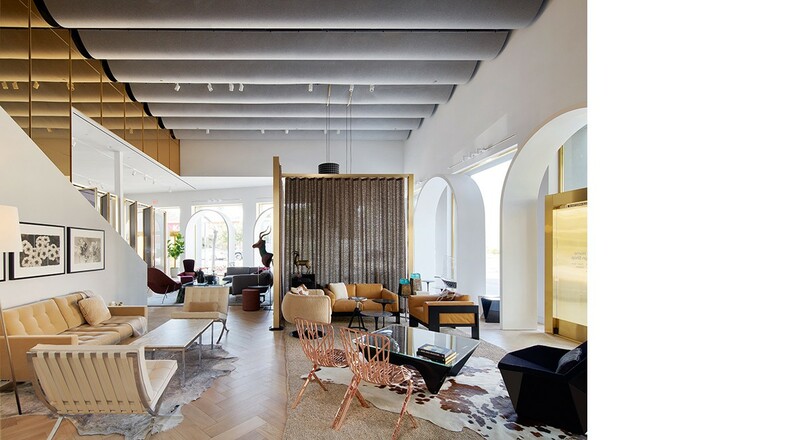 To complement the stunning floor and wall finishes, a simple modulated system of draped felt panels defines the ceiling and integrates lighting and other infrastructure. These draped felt panels add softness to the ceiling and echo the simple fabric canopies of traditional Italian festivals and park pavilions. To learn about FilzFelt’s extensive custom capabilities, please visit About Custom.